Make Sure They’re Legit: North Brunswick roofing specialists should have a legitimate business name, address, and phone number for their company. Not only will this allow you to check on their legitimacy as a business, but you can check on the company’s previous clients and dealings so you know a bit of what you will be working with. Amount of Experience: Ask them how long they have been in business. In roofing, a NJ roofing contractor’s experiences can be just at, if not more important than the quality of materials they use. An improperly installed roof will be short-lived and could result in water or structural damage to your home which can cost you thousands. References: Ask the North Brunswick roofing specialists for some professional references, or check out online reviews the BBB or other sites. 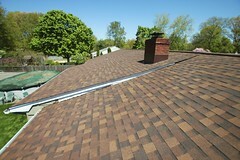 It is imperative to make sure that the NJ roofing specialists’ past jobs are up to par with your standards. Paperwork: It’s important to make sure that they licensed NJ roofing contractors and have met all of the legal requirements to do work where you live. Having insurance is also very important. If they do not have adequate workers comp and liability insurance you could be held liable for injuries or medical expenses. 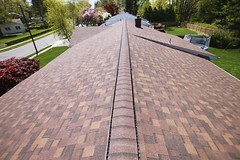 Materials: Make sure that the materials the NJ roofing specialists use are to your standards. 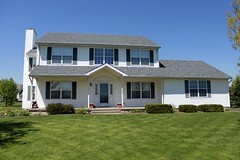 Ask about the quality, price, components, anything you have to to make sure you will be happy with your new roof. Employees: Ensure that your North Brunswick roofing contractor’s employees have proper training and experience. Even if your NJ roofing contractor is experienced, that does not guarantee that everyone working on your roof will be and could still lead to an improperly installed roof. Work Ethic: Your North Brunswick roofing specialists should have a good work ethic and be enthusiastic about their work. Finding a NJ roofing contractor that takes pride in their work will increase the chance that the job is done to your liking and everything goes smoothly. Get It in Writing: Get all contracts and guarantees in writing. Contracts should cover the entire project: list of materials, start/end dates, costs etc. Following these tips can help you choose the best North Brunswick roofing specialist for the job and prevent the risk of losing money due to liabilities. Biondo Contracting provides roof repairs, roof replacements, roof installations, and many more roofing services to the Central NJ area in towns such as East Brunswick, South Brunswick, Hillsborough, Bedminster, South Plainfield, Green Brook, Avenel, Somerset, Bridgewater, Highland Park, Kendall Park, Manalapan, Colts Neck, and many more. 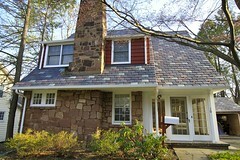 Call this Central NJ roofing specialist today for a free roofing estimate or visit the website.